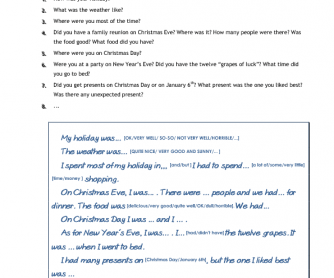 This activity is intended to be carried out with elementary students right after the Christmas holiday. There are two stages. The first one is a guided writing activity. Students are expected to go through a questionnaire and, at the same time, complete the blanks in a gapped text with their answers. 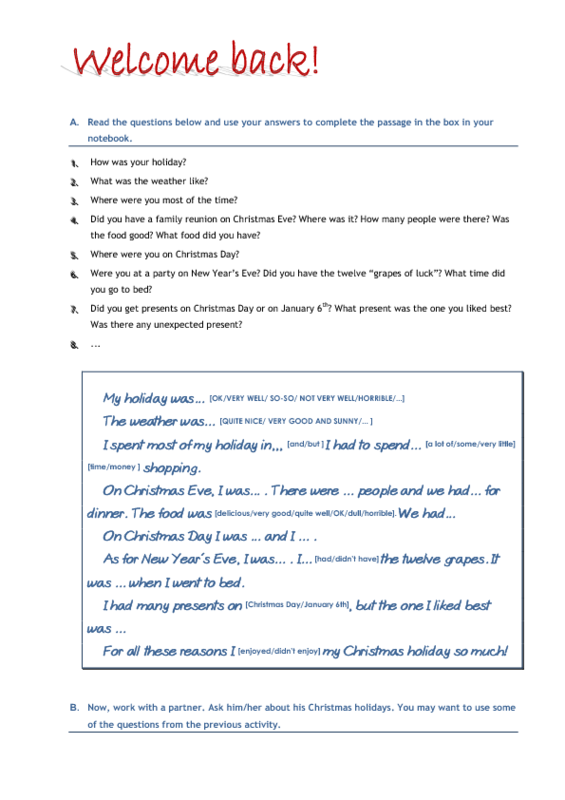 At the second stage, students are expected to talk to a partner about their holidays by using the questions in stage one and the answers they have already prepared.